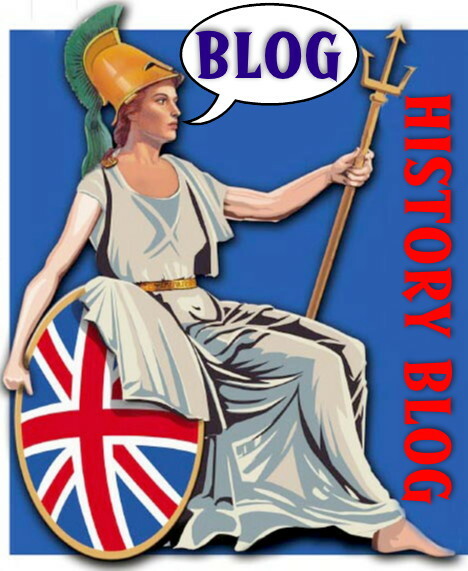 An excellent website offering plenty of well written articles on British history and culture plus travel information for overseas visitors. The official tourist guide to the UK - a bit stuffy, but it gets there in the end. Very British! Destinations is a site for travellers interested in touring the UK and Ireland. Country tours, attractions, weblinks, and up to date news are included. Stay where Great Figures of History have lived and rested.... We feature only accommodation with links to renowned historical figures: Kings, Queens, great poets, inventors, military heroes, writers and Prime Ministers to name but a few - from Henry VIII to Winston Churchill. The essential guide for London travellers. Chock full of information on where to stay, what to do, getting around, shopping, events and more in London. Northamptonshire’s historic beauty will inspire each day spent here as you journey through quintessential England and into it’s fascinating past. This site, provided by the FamilyRecords.gov.uk consortium, aims to help you find the government records and other sources you need for your family history research. The General Register Office is responsible for the administration of marriage law and the provision of a system for the civil registration of births, deaths, marriages and adoptions in Northern Ireland. The General Register Office for Scotland is the department of the devolved Scottish Administration responsible for the registration of births, marriages, deaths, divorces and adoptions in Scotland, and for carrying out periodic censuses of Scotland's population. This is the UK's home of official statistics, reflecting Britain's economy, population and society at national and local level. SCROL is your source of information from the 2001 Census. This website has been created as part of an initiative to encourage the use of, and widen access to, the results of the 2001 Census in Scotland. The SLAINTE website contains information about a wide variety of resources related to librarianship and information management in Scotland. The National Library of Wales is in the seaside town of Aberystwyth in Ceredigion. The Natural History Museum holds the UK's national collection of over 70 million natural history specimens. The Museum’s mission is to maintain and develop these collections and use them to promote the discovery, understanding, responsible use and enjoyment of the natural world. One of the most interesting archaeology websites we have found, with plenty of great content and run by a 'proper' archeologist. Jacqui Wood has a fascinating approach to archaeology that even runs to pre-historic cookery courses. Just go and see for yourself! English Heritage is the Government's statutory adviser on the historic environment. Officially known as the Historic Buildings and Monuments Commission for England, English Heritage is sponsored by the Department for Culture, Media and Sport. Local historian, Maureen Newton, offers a remarkably clear view of the history of this small Derbyshire town. If you have the slightest interest in poets and prizefighters, framework knitters and flying bedsteads, computers and colliers or Harriers and hosiery then this site just has to be worth a visit! Sandy in Bedfordshire has huge links with the UK's Roman past. The Town Council have commissioned one of the best online resources we have seen. This web site is designed for children take on the role of the archaeologist, to look into Sandy’s Roman past. The web site is arranged as a quiz game, a series of challenges. Each must be completed before moving onto the next. The site is aimed at Key Stage 2 in the National Curriculum. It takes about an hour to complete and when finished there is a certificate as well as further exercises to complete off line. A visit to the museum located in the Town's Council Offices is almost obligatory! Enjoy. An online guide to researching historic buildings in the British Isles. It explains what to look for, where to look and how to avoid some of the pitfalls. Different types of building are explained and sources for them suggested. The UK and Ireland's guide to genealogical resources in public libraries. The UK & Ireland section of Genealogylinks.net contains one of the largest collections of links to online UK surname databases. A massive collection of useful UK based genealogical information. Serious crime down through the ages has affected every class of family. Today genealogists are more interested than ever to find out the facts behind a story, legend or suspicion that has either been passed down through the generations or has recently been uncovered. This website will help uncover the grim and gory details. The official government source of genealogical data for Scotland. History on the Net aims to provide historical information linked to the English National Curriculum, for teachers, pupils, parents and anyone who wishes to further their historical knowledge. On this site you'll find in-depth articles, multimedia (like games, virtual tours and animations) and short biographies of historic figures. TV channel dedicated to history. This site offers program listings plus features and other items of interest to historians. ABWH was founded in 1979. Its membership consists of scholars, academics, graduate students and laypersons who share an interest in Diaspora Women's Studies. Members engage in research about women of African descent all over the world. FFHS is an international organisation, which represents, advises and supports over 220 family history societies and other genealogical organisations world-wide. The Institute of Historical Research is part of the University of London's School of Advanced Study. Situated in the heart of Bloomsbury, close to the British Library and other centres of specialist research, it is an important resource and meeting place for scholars from all over the world. It contains an open-access library and a common room, publishes works of reference, administers a number of research projects and runs courses and conferences. The Society of Genealogists offers a unique combination of research material, guidance and support for those interested in family history and the lives of earlier generations. The Historical Association supports the study and enjoyment of history at all levels and leads activities and campaigns to raise the profile of history at local and national levels. An elegant website developed by a small group of re-enactors who represent the 51st (2nd Yorkshire, West Riding) Light Infantry from 1809 - 1815. This fascinating site is devoted to the history of Psychological Warfare - that is the use of propaganda as a weapon against an enemy in wartime. It offers numerous photographs of propaganda leaflets. Am Baile, the Gaelic Village, is a major learning and research resource for everyone with an interest in the language, culture and history of the Scottish Highlands and Islands. The site is available in English and Gaelic, and offers access to photographic collections, published texts, archive materials, films, sounds, interactive games and comics. This site exists solely to provide information about black British history. In addition is offers many links to other related websites. There are many black Britons on this site, some famous some just ordinary citizens. They all contribute to Britain's fascinating hidden history. The Border Reivers website includes the story of the Reivers and their families on both sides of the Border, in England as well as in Scotland. The aim of this site is to aid research into British medieval architecture. Academic papers are offered alongside detailed information on the 'Devizes Heads'. This site began life as the homepage for BQHL, the British Quilt History List - a free internet mailing list for anyone interested in the history of British Quilts and domestic textiles -it is now a fascinating resource and well worth exploration. International Genealogy and Heraldry Fellowship of Rotarians The IGHFR is a world wide Rotary Fellowship of members who are interested in genealogy. This organisation aims to put its members in touch with other Rotarians who may be able to help with enquiries in their locality. The IGHFR publishes a quarterly newsletter with articles, helpful advice and members requests for information, or answers to such requests. This is the story of the port of Leith on the east coast of Scotland, standing on the Firth of Forth just north of Edinburgh. Here you will find links, papers, graphics, references and other valuable information relating to the history of nursing and midwifery in the UK. These pages give a brief over view of the History of Scouting and some of the changes that have happened to the movement over its history, this is viewed mainly from a British perspective. The Illustrated London News magazine, which was first printed in 1842, is a superb pictorial and social record of British and world events. This site is a collection of facsimiles and related data. Literaryhistory is an index to free scholarly and critical articles, covering more than 300 English and American authors of the nineteenth and twentieth centuries. With over 7,000 citations, we have the largest collection of free links on these authors on the internet. All links are screened by a literary scholar and must meet minimum academic standards to be included in the index. This site combines three sites which provide a starting point for students and enthusiasts of English Literature. Nothing replaces a quality library, but hopefully this site will help fill the needs of those who have not access to one. Academic website with mining bibliographies and lists of mining historians. Not for the faint hearted! Old Glossop is a collection of links and useful information for residents of this Derbyshire town. The energy behind this site should be an inspiration for anyone looking to set up a similar resource. The colours... now that is another matter entirely! This is a map of the wheel-ruts of modern English. Etymologies are not definitions; they are explanations of what our words meant and how they sounded 600 or 2,000 years ago. Old, out of copyright archery books contain a lot of useful information. They are hard to find and often very expensive. This site makes these these books available on line for the benefit of all. A small collection of archery prints is is also reproduced here. Resources for Medieval Studies sponsored by Georgetown University. This web site is an essential tool for any serious researcher. It is well maintained and extremely useful. One of our favorites! A vast and fascinating list of medieval history related sources including documents, images and more. Just go and explore! Information on current and forthcoming attractions relating to Scottish football. News of new club museums, football exhibitions, updates on the new National Museum of Football at Hampden and any other item of relevance will be included here along with a regular section featuring newly published books on the general topic of Scottish football. The UK Archeology Opportunities website is aimed at the non-professional archaeologist and lists volunteer projcts, excavations, and adult education courses in the UK and Ireland. Women's History Scotland (Formally known as the Scottish Women's History Network ) exists to promote study and research in women's and gender history, particularly for those working in Scotland or working on Scottish themes. It has a commitment to history at all levels and aims to provide a network of information and support to all. WWIIReenacting.co.uk is dedicated to bringing WW2 era reenactors from the UK together. If you have an interest in reenacting, this site is for you. A tightly organized global overview of the history of cartography, aimed at surfers or scholars, spread over about 100 pages. The site provides reference information and lists activities, opportunities and resources. There are also leads to the collecting of early maps. 'Map History' is managed by the former Map Librarian of the British Library and forms part of the WWW-Virtual Library. I know this website isn't about UK history but having received their request to be listed I felt it had more than enough interest value to be added. Take a minute to find the recipe for 'Hard Tack'... and don't forget the weevils! NAReS provides a forum for the different organisations involved in re-enactment and living history to meet and share resources, information and expertise for the benefit of all. Through subcommittees, guidance notes and newsletters NAReS members share their current best practices with fellow re-enactors.